You’ll need your broadband connection to be fully provisioned and working – check your email for a “PROV-xxxxx: Your service should now be active!” email. 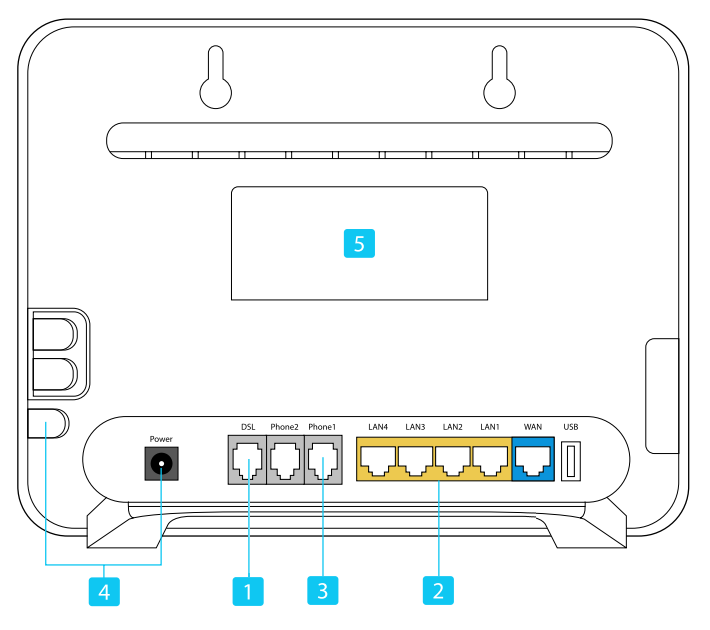 2 - [Optional] Plug one end of the Yellow Network/Ethernet cable to any of the Yellow LAN ports on the router. Plug the other end to your Laptop, Desktop or other wired device. 3 - [Voice Plan Only] Plug one end of another DSL/Phone cable to the Phone 1 port on the router. Plug the other end to your existing phone handset. 5 - WIFI INFO Your default Wireless Network Name (SSID) for 2.4Ghz WIFI, and SSID(5G) for 5Ghz WIFI can be found on the back of your router, along with your WIFI Password (WLAN Key). Click here for our detailed WiFi Guide. 1 - Plug one end of the Blue Network/Ethernet cable into the LAN1/GE1 (or LAN2/GE2 if advised) port on the Fibre ONT. Plug the other end into the Blue WAN port on the router. 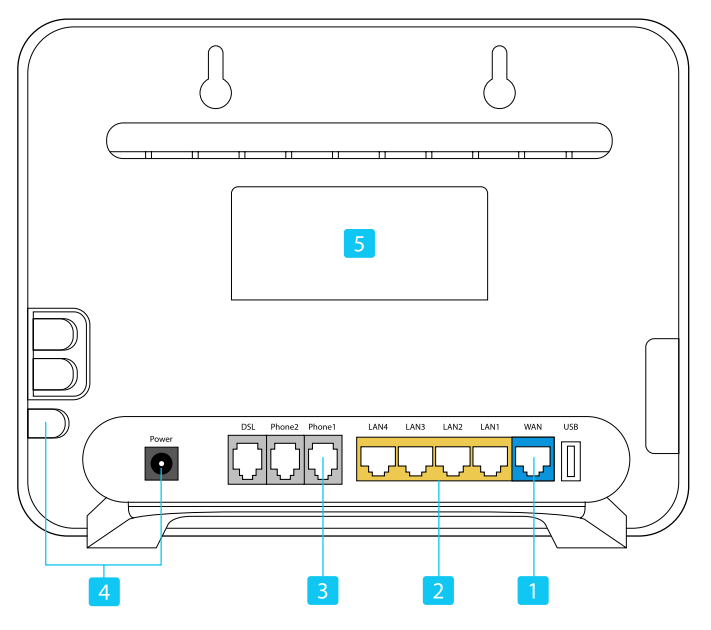 4 - Plug the power supply into a power point on the wall and the power cable into the router’s power supply port. Press the On/Off button, located on the side of the router, and wait 5 minutes before attempting to connect. A - Power - Steady green light indicates the router is power on. B - WAN - Steady green light indicates your Voyager broadband connection is activated. Blinking indicates it's attempting to activate. C - Internet - Steady green light indicates the router has logged into the broadband service with your Voyager username and password. Fast blinking indicates data is being transmitted. D - WLAN - Steady green light indicates WiFi is activated. Fast blinking indicates data is being transmitted. E - VoIP - Steady green light indicates Voice (Phone) service is registered. Blinking indicates the service is in use. 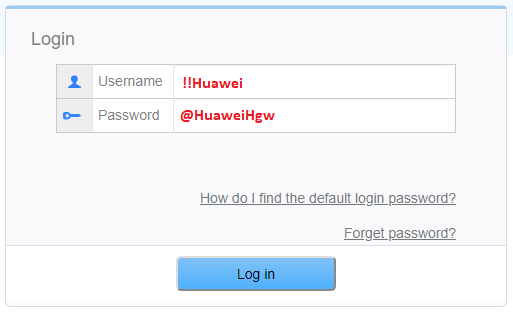 The router's configuration can be modified through this user interface. We dot not recommend editing the router settings without consulting us first if you are not familiar with its functionality. You will need to be connected to the modem's WiFi or have a computer with an Ethernet cable plugged into one of the four yellow “LAN” ports on the back of the router.